Passengers who want to travel to Brunei, Limbang, Lawas and Kota Kinabalu can purchase tickets at the terminal. Shuttle service are provided by Miri Bus Management (085-434161) for commuters who take the bus at the terminal. 2- from Tudan Bus Terminal to Miri City bus station at Jalan Padang and vice-versa. This state-funded Tudan Bus Terminal was built in 2006 and was handed over to Miri City Council to manage. 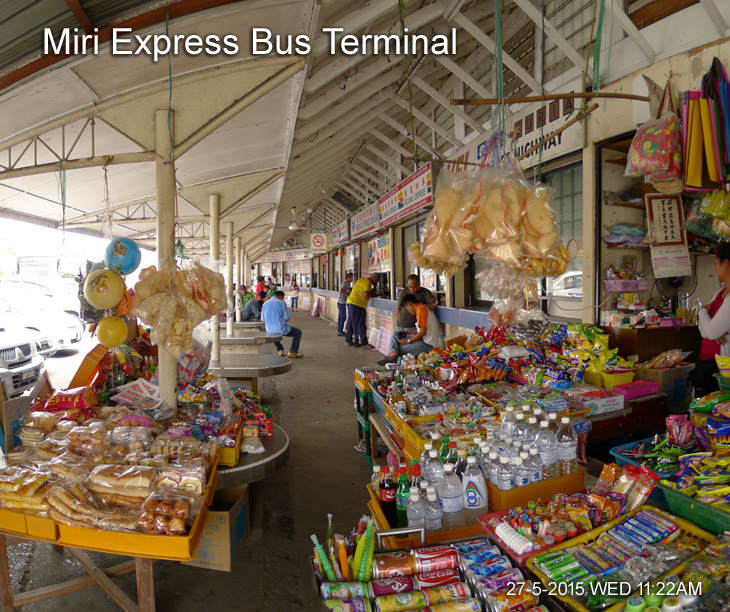 Miri Express Bus Terminal is located at Pujut Corner, off the Miri-Pujut Road. Batu Niah Junction, Lambir Hills National Park, Bintulu, Sibu, Sarikei, Kuching and Brunei and Sabah. There is a different in Batu Niah Bazaar (Town) and Batu Niah Junction. Sometimes the bus stations staffs themselves also confuse the passengers. What the bus counters mean "Batu Niah" is actually Batu Niah Junction not Batu Niah Bazaar (town) which is another 11 kilometres by taxi. Bintulu Express buses go daily to Bintulu (RM20, 4½ hours), departing roughly hourly between 6am and 8.30pm. 452 Jln Melayu; 8am-6pm Mon-Fri, 9am-3pm Sat & Sun. 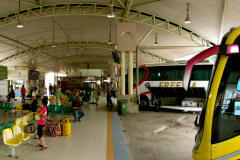 1) Miri long-distance bus station is 4km north of the centre, along Jalan Miri Pujut. 2) Miri local bus station at the southern end of the town centre. Miri City Bus Terminal (Local Bus Station) is located at Jalan Melayu next to Tamu Muhibbah and Tourist Information Centre. Taxis and private cars for Niah National Park (RM10 to RM20) wait for customers across the road from the local bus station. Buses depart from the local bus station at the southern end of the town centre. Any southbound bus service can drop you at the Batu Niah turn-off (RM10, 1½ hours), 13km from Miri town. Frequent north–south buses go past Lambir Hills (RM3, 45 minutes). Kuala Baram The Belait Transport Company has buses to Kuala Baram (RM2.50, one hour) every 20 minutes between 5.30am and 9pm. From here you can catch an express boat to Marudi. The major companies each have a couple of direct buses daily (RM80, 15 to 16 hours), last one at around 10pm. There are one or two daily buses from Miri to Mukah and Dalat (RM50, 12 hours), leaving and returning in the morning. Frequent direct bus services, all buses to Kuching stop at Sibu (RM40, eight hours). The Belait Transport Company plies the route between Miri and Kuala Belait, the first leg of the trip, and has its office at the local bus station. Five services daily run to Kuala Belait between 7am and 3.30pm (RM13.50, two hours). After clearing immigration at Sungai Tujoh, near Kuala Baram, you reboard the bus for the two-minute ride to the Brunei immigration checkpoint. Here you must take all your belongings with you through passport control and customs. A Brunei bus will then take you to the Sungai Belait, where driver and passengers leave the bus on one side, cross on the ferry (free), then board another bus on the other side of the river for Kuala Belait. 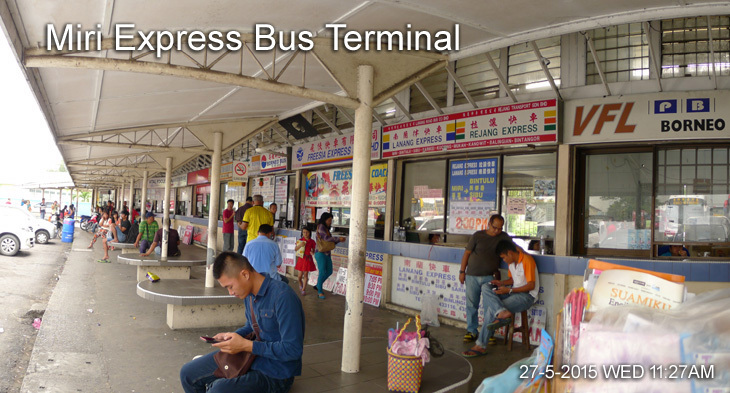 At Kuala Belait bus station you can change to a connecting bus to Seria (B$1, 30 minutes), then onto a further service for Bandar Seri Begawan (B$6, two hours). Start your journey early unless you want to spend the night in Kuala Belait or Seria. Miri local bus terminal at Jalan Padang in the south of the town (not the long haul bus terminal outside of town). There is one in Jalan Padang, adjacent to the Visitors' Information Centre, and this serves the local Miri network. At Pujut Corner. This is the long haul bus terminal outside of Miri City. 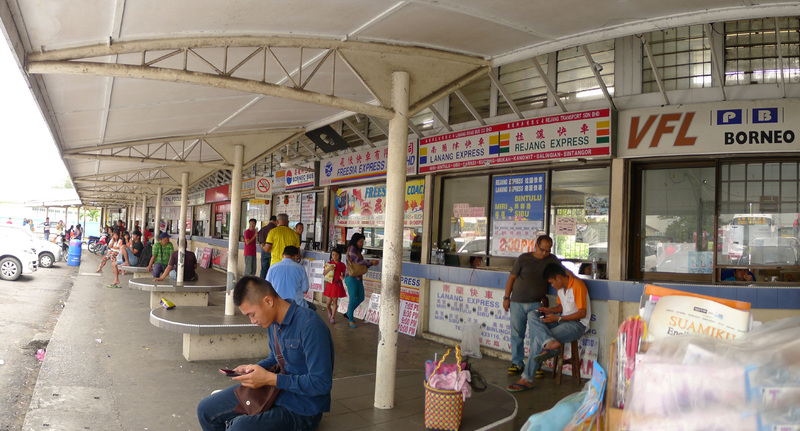 This Outstation Bus Terminal is located at Pujut Corner, off the Miri-Pujut Road. Buses to Niah, Lambir Hills National Park, Bintulu, Sibu, Sarikei and Kuching depart from here. Syarikat Bas Suria (tel: (6) 085-434317/412173) has a regular bus service to batu Niah from Miri Bus Station. The journey 1 hr 40 mins to 2 hrs. Share taxis from the Bus Station are available as there are regular taxis, which can usually be chartered on a daily basis. self-drive cars are also available (ask at your counter or check in the yellow pages). 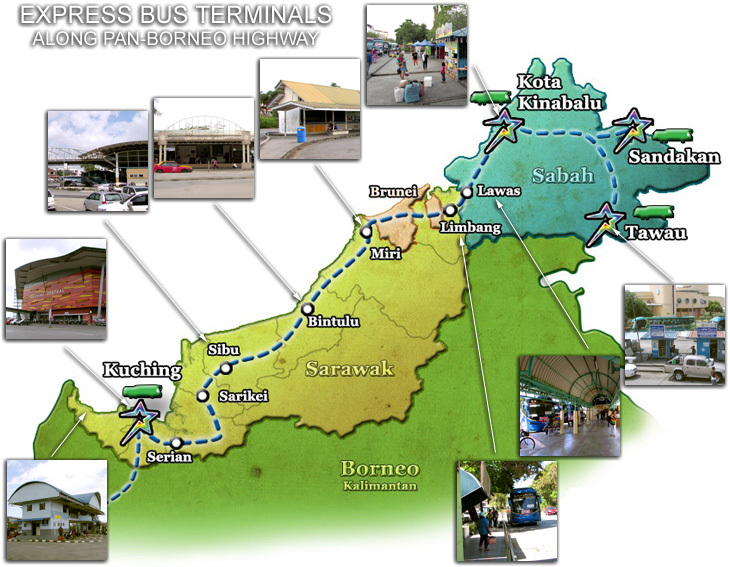 Syarikat Bas Suria (Tel: (6) 086-335489) has a regular bus service to Batu Niah from Bintulu Bus Station. The journey time is about 2 hr to 3 hrs drived. Share taxis from the Bus Station are available as there are regular taxis, which can usually be chartered on a daily basis. self-drive cars are also available (ask at your counter or check in the yellow pages).